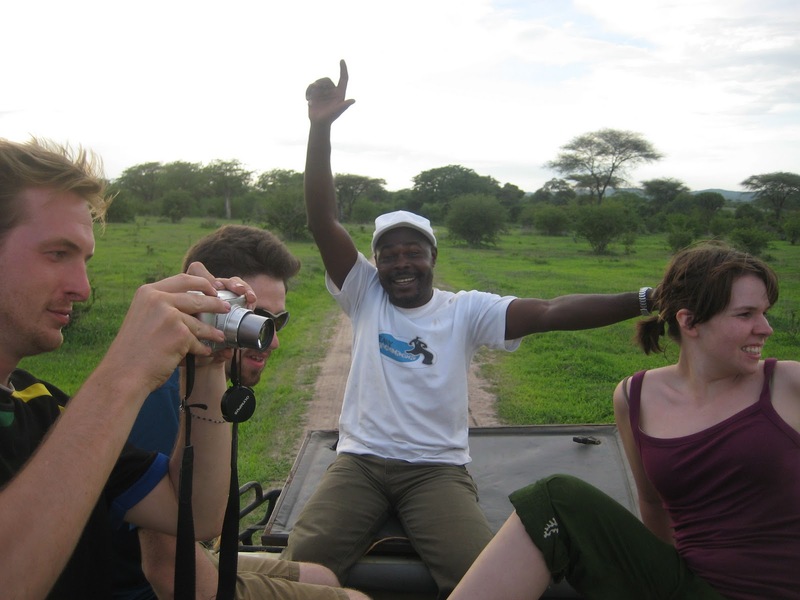 In January 2009, I was lucky to travel to Tanzania for a friend’s wedding. I’ve blogged about parts of the trip here, and here. Today, I thought I’d add another post to the collection. Many people want to go on safari, I was not one of them. It wasn’t that I didn’t want to do it, it just wasn’t a priority for me. Well, Jenny and Goaf can be very convincing, and they turned it into a far more thrilling experience that I ever could have imagined. 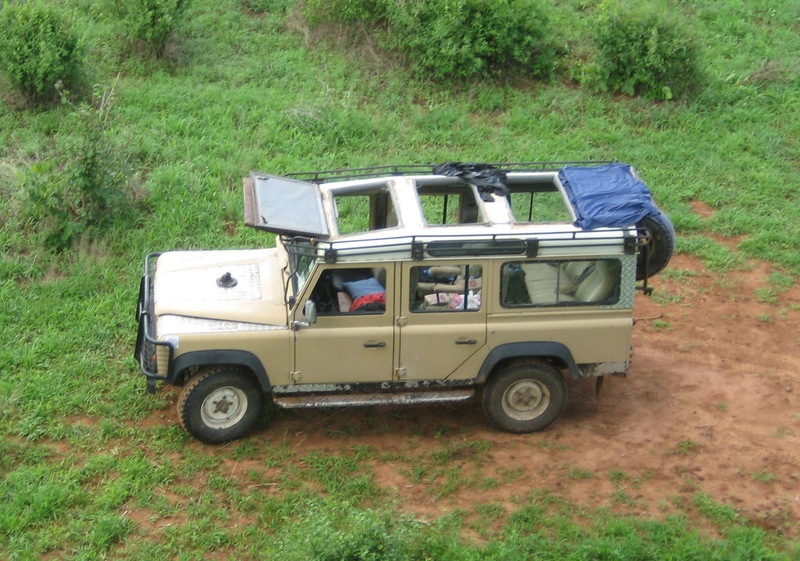 As we are not rich, English big-game enthusiasts, we did our safari on a budget. 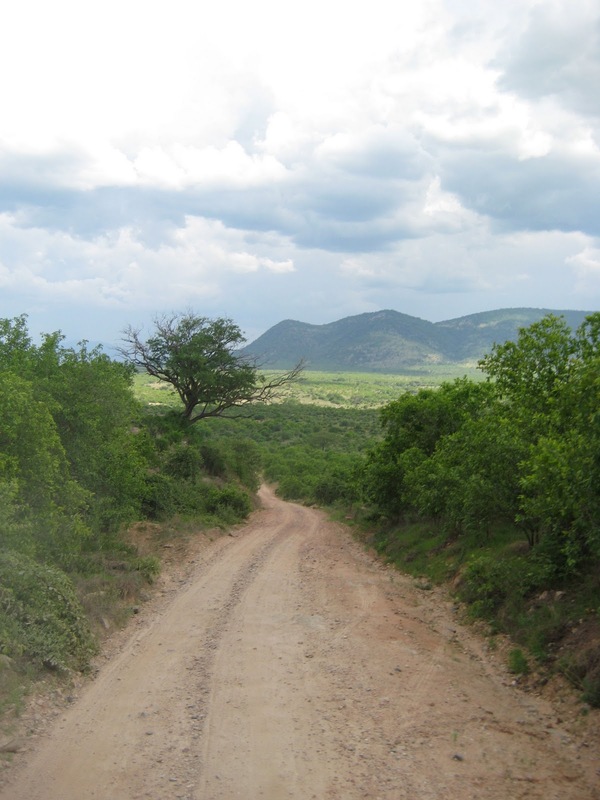 Also, as we are the off-the-beaten-path sort of travelers, we did not go to Serengeti, which they tell me is unbearably touristy, and has paved roads. Two things I’m told can quickly kill the authenticity of one’s safari experience. 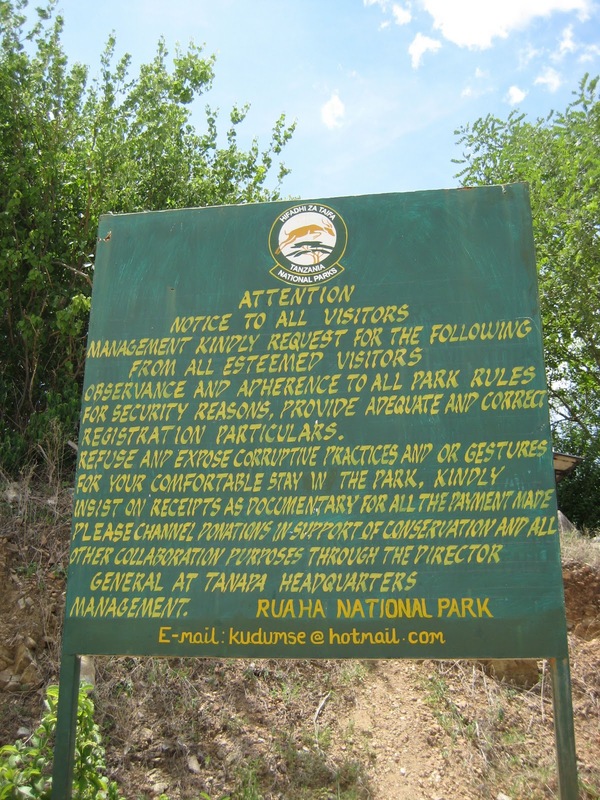 We began to see animals before we even entered the park. Once we paid our entry fee, which was nominal, and read the rules, we really had our minds blown. First we saw hippos. Lots of them, just hanging out in the water with their hippo babies. Then it was swala, or gazelles, who oddly divide themselves into separate herds of males and females. Then came the twiga, or giraffes. Have you ever seen a giraffe run? It’s one of the most beautiful things I’ve ever seen. It looks like they are running in slow motion. I apologize for the quality of the videos, I haven’t quite got the hang of my movie editor. No, it’s not in slow motion. 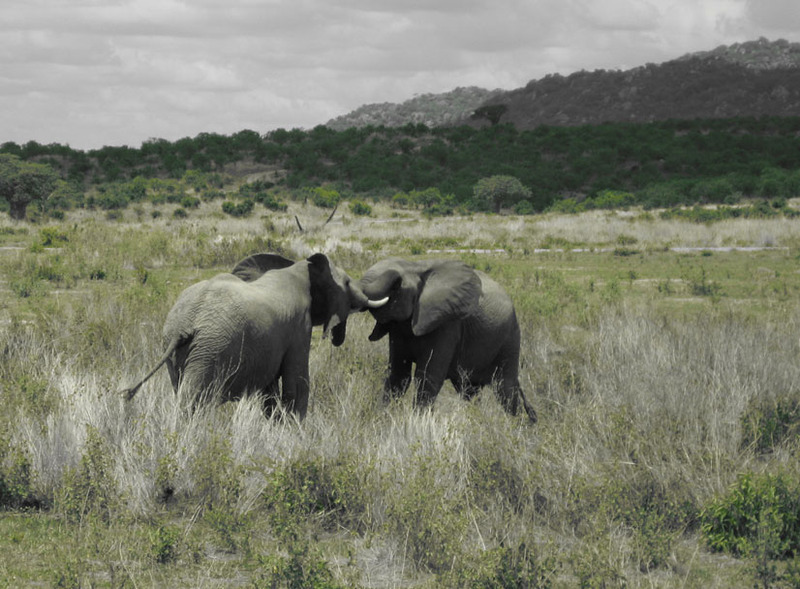 Then came the tembo, or elephants. My favorite animal. 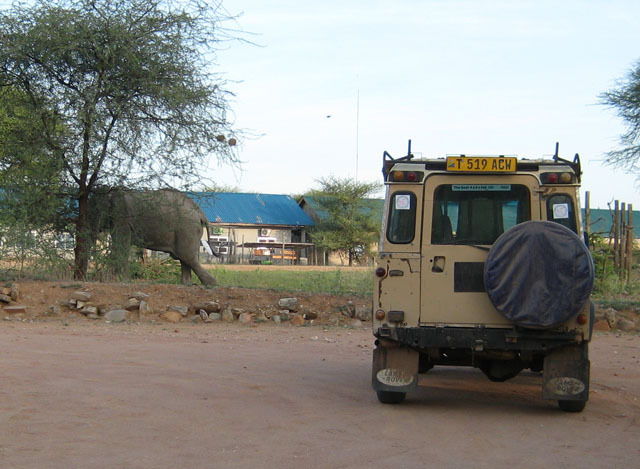 We were told to watch out for the elephants, as they can knock over our Land Rover in one nudge. Well, “watching out” wasn’t really Micheal’s safari guide style. 1. 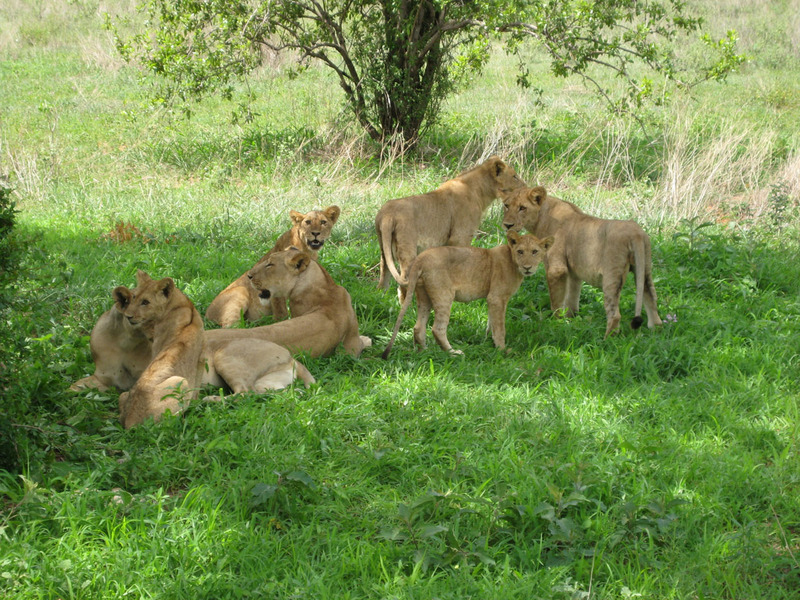 Lions are the goldmine of safari animal spotting. 2. If you are out past dark, the park rangers will probably shoot you. This sent Michael on a mission. 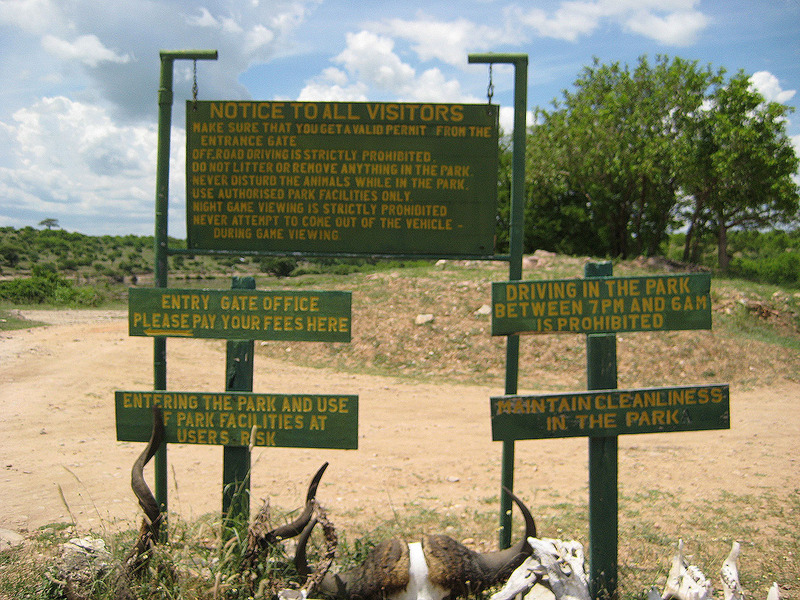 We zipped around that park at 40 MPH (while still unwisely riding on the roof of the car) desperately looking for lions before nightfall. It was at this point when we saw our first group of fellow safari goers. I think it’s a pretty impressive feat to spend the whole day never seeing another group of touristy humans. Michael exchanged words with the other driver and exclaimed, I know where to find lions! Off we went, very quickly. And then there they were, in all their wild, uncaged, dangerous, silent glory. A few moments of lion enjoyment in the fading African daylight lasted a lifetime. And then we were off, zooming through the park in order to get to our camp before getting shot. The night was New Year’s Eve, and we partied with the villagers who live in the park at their local community center. A strange experience that is worthy of its own story. We spent the night in a quaint, very unfancy lodge. In morning, we stumbled sleepy-eyed out of our rooms to find this guy. We spent another few hours driving around seeing the animals, and ooing and ahhing over the landscape and all its Lion King-esque glory. These guys put on a pretty dramatic show, just as we were leaving. Here are some shots of the whole safari crew, and our trusty vehicle. You can see all my safari photos, as well as the rest of the Africa trip here. 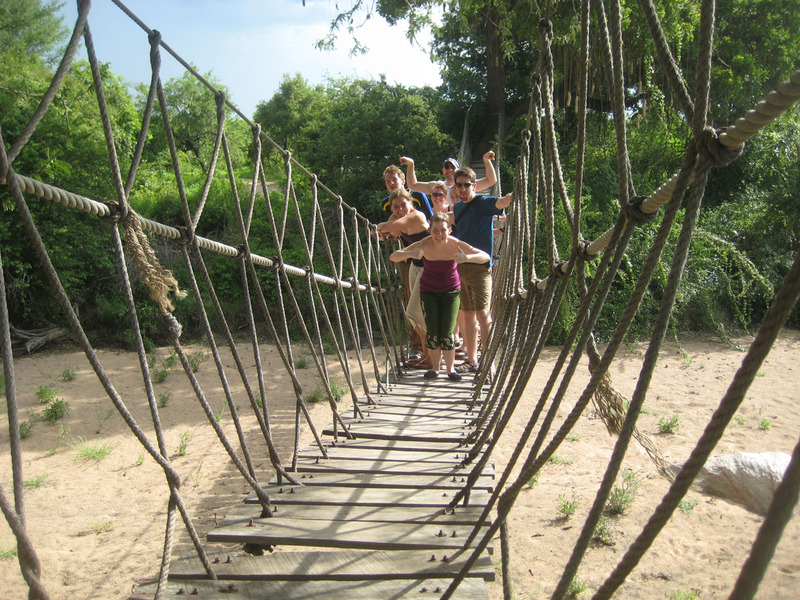 My husband lived in Iringa for 3 years with Peace Corps. Too bad we didn't know you were going!